Tourism industry is related to food and beverage, transportation, accommodation and many more fields. For this reason, tourism marketing is gaining importance all over the world. Most of the fastest growing tourism countries' promotion activities are increasingly raising the popularity and importance of these countries. Tourism has an important role in the development of countries as a service industry and a multi-faceted concept. Hence, tourism activities currently have gained new forms, new insights and new methods. One of them are faith or pilgrimage based tours. Today, for travels especially made for cultural purpose, religion is one of the leading factors. For example, Benares in Brahman, Mecca and Madinah in Islam, Jerusalem and Ephesus in Christianity are religious places attracted many of tourists due to the pilgrimage. This major movements of migration making for religious purposes affect regions, countries and destinations in terms of the economic and social aspects. This situation creates economic opportunities for countries which have consistently balance of payments deficit. In addition to this, religious trips impress people spiritually, physically, mentally, socially and emotionally. Therefore, people visit the holy places of the faith they belong. For this reason, faith activities in different parts of the world attracted millions of people annually. Among them religious buildings, rituals, festivals, spiritual and religious events are important factors that affect the behaviour of tourists and directs people to faith tourism. There are thousands of different regions in the world that are considered sacred and cause population movement. These regions are chosen within the framework of various differences of belief, culture and mysticism among people (Rojo, 2007, pp. 1-2). There have been various groups of religion and faith since the existence of humanity until today which introduced certain rules and provisions to believers while making it obligatory or optional to follow these rules (Şahiner, 2010, p. 26). One of the common features of religions is that religious guides/sources dictate people to visit some sacred locations in the world to see and draw a lesson from the places where former nations lived (Aksoy, 2002, pp. 419-420). Travelling preachers had a great role in spreading Christianity according to Christian resources (Şahiner, 2010, p. 260). For example, religious travels had significant effect on the substantial spreading of Christianity and Islam (Yıldız & Kalağan, 2008, p. 42). Within this framework, it can be said that pilgrimage and faith tourism constitute one of the oldest types of the tourism sector (Belhassen, 2009, p. 131). Jerusalem, Rome, Santiago de Compostela and Lourdes (France) are important pilgrimage centres for Christianity. Destinations like Rome and Jerusalem have been significant cities for Christians (Güzel, 2010, p. 90). For example, travel privileges were granted and easier transportation possibilities were provided to Christian functionaries during the Roman era (Yalduz, 2003, p. 291). In Islam, Mecca and Medina are the pilgrimage centres that well-situated Muslims are required to visit at least once in a life time (Rojo, 2007, p. 10). Faith tourism constitutes one of the oldest tourism types, perhaps the first one, as it started with emergence of these religions. Pilgrimage, one of the religious and cultural phenomena best known to human society, is an important feature of the world’s major religions: Buddhism, Hinduism, Islam, Judaism, and Christianity (Collins Kreiner, 2010b, p. 440). The best example of faith tourism in Islam is the worship of pilgrimage. Pilgrimage is one of the pillars of Islam and it is obligatory for every Muslim with a certain economic power to perform the duty of pilgrimage once in a life time. Voluntariness of Muslims doesn’t matter in performing the worship of pilgrimage (Rojo, 2007, p. 10). Therefore, worship of pilgrimage created a strong and organized travel tradition in all Muslim world every year while developing institutions and rules for transporting and hosting as well as providing an institutional structure for catering pilgrims. In addition, travelling for the purposes of studying, education, getting information on historical and cultural matters is considered extremely essential and sacred in the Islam culture. Besides pilgrimages have powerful political, economic, social and cultural implications, and even affect global trade and health (Collins Kreiner, 2010b, p. 441). Therefore, it is useful to study the influence of religion on tourism by social and economic dimensions. 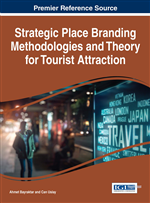 Faith tourism is a significant source of income in the tourism sector (Şahiner, 2010, p. 27).